There was a mean nasty streak in old Jesse Grant. He was close and greedy. He came down into Tennessee with a Jew trader that he wanted his son to help, and with whom he was going to share the profits. 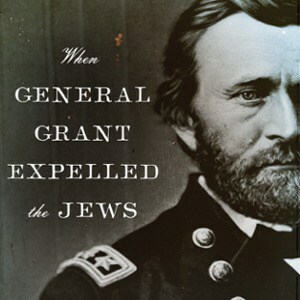 Grant refused to issue a permit and sent the Jew flying, prohibiting Jews from entering the line. - James Harrison Wilson, interview with Hamlin Garland, circa 1890. That the most blatant state-sponsored act of anti-Semitism in American history should have come about because Ulysses S. Grant was furious with his father is not so preposterous an explanation, unfortunately, as one might imagine. In December of 1862, Grant’s frustration and anger with the cotton speculators and rapacious businessmen trading illegally in the conquered areas of the South was only exacerbated by the knowledge that his father was one of them. 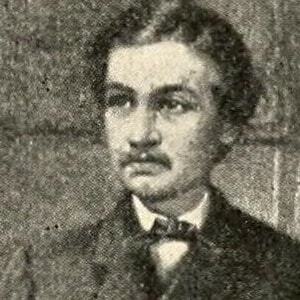 If, as James Harrison Wilson observed, Grant was temperamentally unable to strike back directly at “the lot of relatives who were always trying to use him,” it seems likely that a powerful impulse was at work when, in a fit of obduracy and against all advice, he expelled the Jews from Tennessee. A month later, the furor reached a point where Grant had to do something to contain the outcry. To this end, he arranged the dissemination of a letter stating that he did not pretend to sustain the order; it was issued without thinking; he had no prejudice against anyone – and it would never have been issued had he not been in such haste and high dudgeon. Autograph Letter Signed (“Ulysses”), 4 pages, octavo, on the letterhead of the Headquarters Army of the United States, Galena, Illinois, August 14, 1868. To his father, Jesse Root Grant. to have the Judge[']s letter returned to him with or without remarks from him. Or, I presume the letter has been returned before this. The family are all well. I have enjoyed my summer vacation very much, and I look forward with dread to my return to Washington.